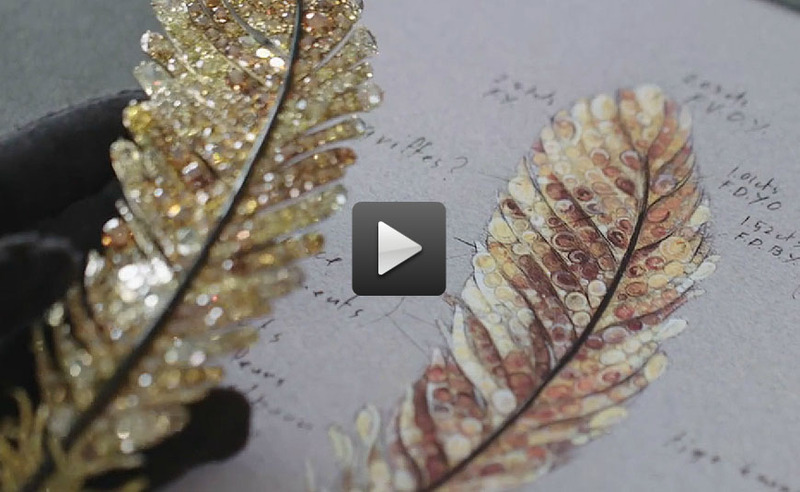 A feather brooch by Cindy Chao. Stunning! During my latest Jewelry Crawl last month in Manhattan, I was lucky enough to see this glorious and massive colored diamond feather brooch by Cindy Chao that goes to auction May 30 at Christie’s Hong Kong. If you would like to see this beauty in action, head over to Christie’s where they have a short video highlighting three of the Hong Kong jewelry designers whose pieces will be sold in the auction, including Ms. Chao’s. You will get a chance to see the way the light hits the stones—the color and sparkle are breathtaking—and learn more about her design process. You will also get to see just how big this brooch is since a model wears it on the lapel of her jacket. The video is pretty short, maybe three minutes long, but you will be so inspired by these designers and their stunning works that you will want to get your best jewelry out to wear immediately! You should be able to access the video by clicking here. Do come follow me on Instagram @everythingjustjewelry where I am highlighting some of my favorite pieces from the small preview of the Hong Kong jewels that were on display at Christie’s Rockefeller Plaza. And let me know you think of this brooch!